Do you brush and floss your teeth every day? It’s good for your smile to maintain a good oral healthcare routine, but that won’t keep your teeth perfect. Plaque that can’t be reached or cleaned can turn into tartar, which can only be removed by a professional. 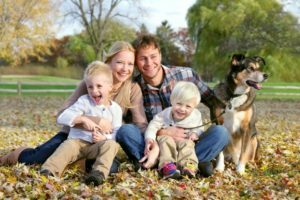 Keep reading to discover why it’s important for the health of your teeth and gums to receive regular cleanings from your family dentist in Fayetteville, NC. Before any cleaning is done, your dental hygienist will start with a physical exam of your teeth, gums, and mouth. They usually use a little mirror to check your teeth and gums for signs of disease, decay, or any other potential issues. X-Rays are typically taken once a year before cleanings are done to get an inside look at parts of your smile that aren’t visible to the naked eye. After a quick exam, your hygienist will carefully clean your teeth, the gumline, and in between each tooth. This is where they’ll remove tartar that has built up in the mouth. Tartar can cause tooth decay and gum disease, so it’s important that your hygienist removes it—even if it does require some scraping. Once your hygienist has removed plaque and tartar, they will use a powerful electric toothbrush to clean your teeth. Although the toothpaste tastes like regular toothpaste, it has a gritty consistency that gently scrubs and polishes your teeth. This should be done twice a year, but any more could actually start to damage your enamel. One of the many benefits of routine cleanings is an expert flossing session. Your hygienist will clean in between your teeth and check out any trouble areas of your gums. This also allows them to clean out plaque and debris from the earlier cleaning. After all these steps are taken, you’ll receive fluoride treatment. Fluoride is a mineral that naturally fights cavities and protects your teeth. You can pick your flavor and sometimes the method of delivery. The most common way to receive fluoride at the dentist is through a gel placed in a mouthpiece that fits over your teeth. It can also be painted on teeth for an extra layer of protection. Now that you know why routine cleanings are so important, when is the last time you’ve been into the dentist’s office? Contact your dentist in Fayetteville, NC to keep your smile looking and feeling great! Dr. Angela C. Ruff has been living in Fayetteville for over 30 years, and she loves taking care of patients in her community. She enjoys providing patients quality care, while boosting their confidence through beautified smiles. She currently practices at Ascot Aesthetic Implants & Dentistry, and she can be contacted through her website or by phone at (910) 630-6199 for any questions.